This bundle provides targeted practice in each subject to SUPPLEMENT your full-year program. Recently updated and revised to current national standards, based on the latest research findings and methodology. 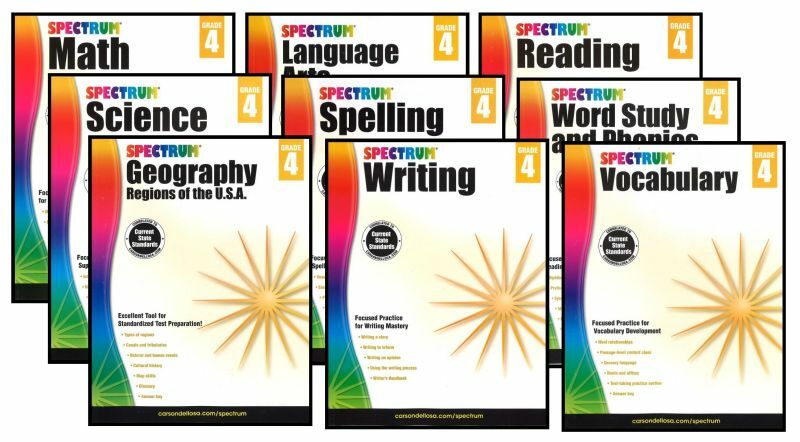 Our best-selling Spectrum series features grade-appropriate workbooks for grades 1 to 8. Subject matter that's aligned to state standards, providing targeted practice in each subject's fundamentals to ensure successful learning! 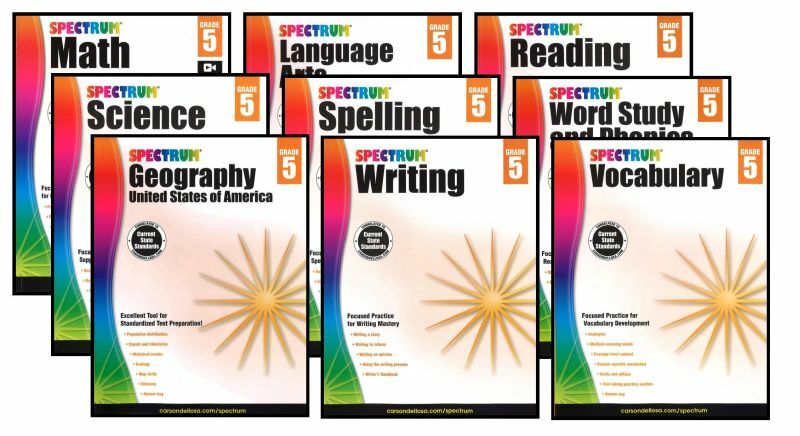 9 workbooks are included in the 5th grade SPECTRUM Supplemental Curriculum Package! All workbooks contain Answer Keys. 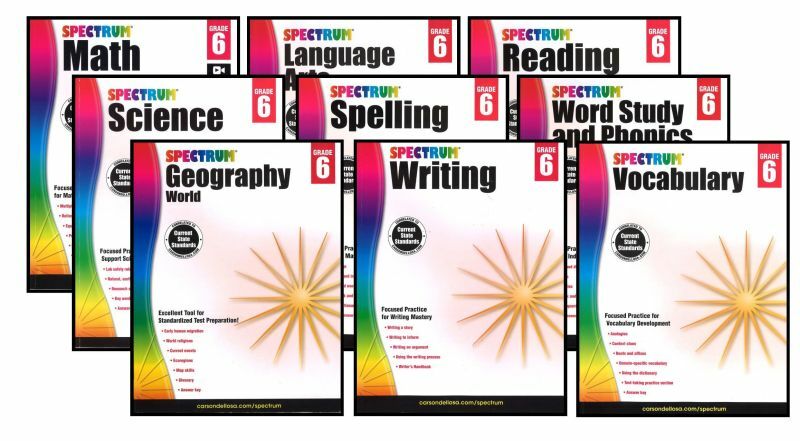 Spectrum Workbooks contain minimum topical content. They present topic fundamentals required at each level and targeted practice problems - therein providing an outline of content needing to be mastered at each respective grade level. 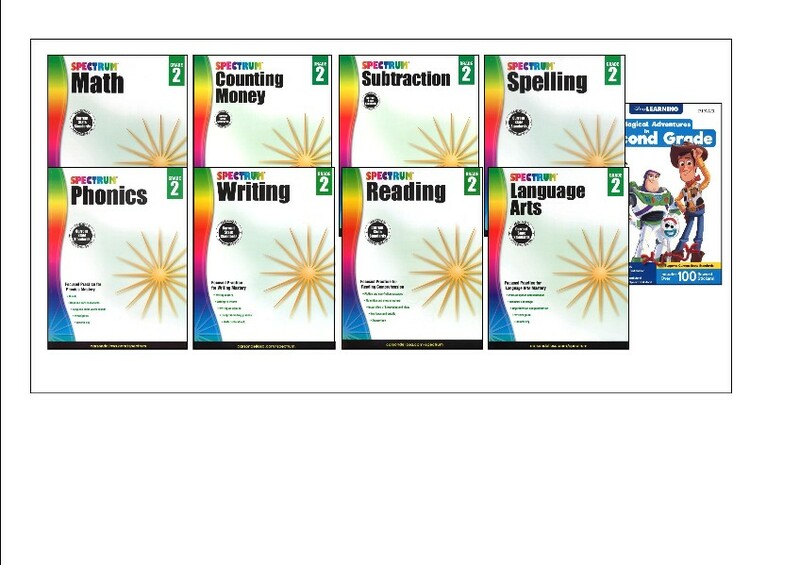 Parents should consider supplementing Spectrum workbooks with activities and additional materials to help the child/student master said content - thereby assisting youngsters in attaining higher academic achievement.